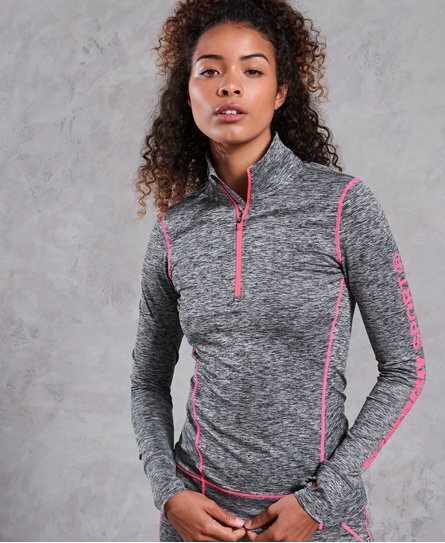 Superdry women’s Performance reflective half zip top. This layer is designed with your comfort as priority, featuring breathable, moisture-wicking technology and SuperQuick dry fabric to keep you dry during training. The top features flatlock seams to be comfy against your skin and stretchy material that moves with your body. This top is finished with thumb holes in the sleeves, a Superdry Sport logo down the left arm and is fully reflective, making sure you are visible in low light. This top is an essential item for your sport wardrobe.